The BBC has confirmed there will be no third series of mythological drama Atlantis. 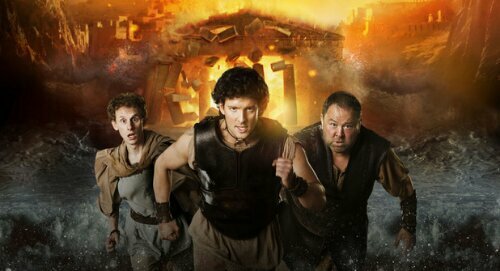 The series starring Jack Donnelly, Mark Addy and Robert Emms will air the final seven episodes of the second series in the Spring. Supporting characters included Sarah Parish, Aiysha Hart and Jemima Rooper. BBC spokesperson told Digital Spy: “The final seven episodes of Atlantis will transmit on BBC One in spring. We would like to thank Urban Myth Films and all the cast and crew but the series will not be re-commissioned. The Saturday night family drama was produced by Urban Myth Films, and created and written by Johnny Capps, Julian Murphy (Merlin) and Misfits creator Howard Overman.